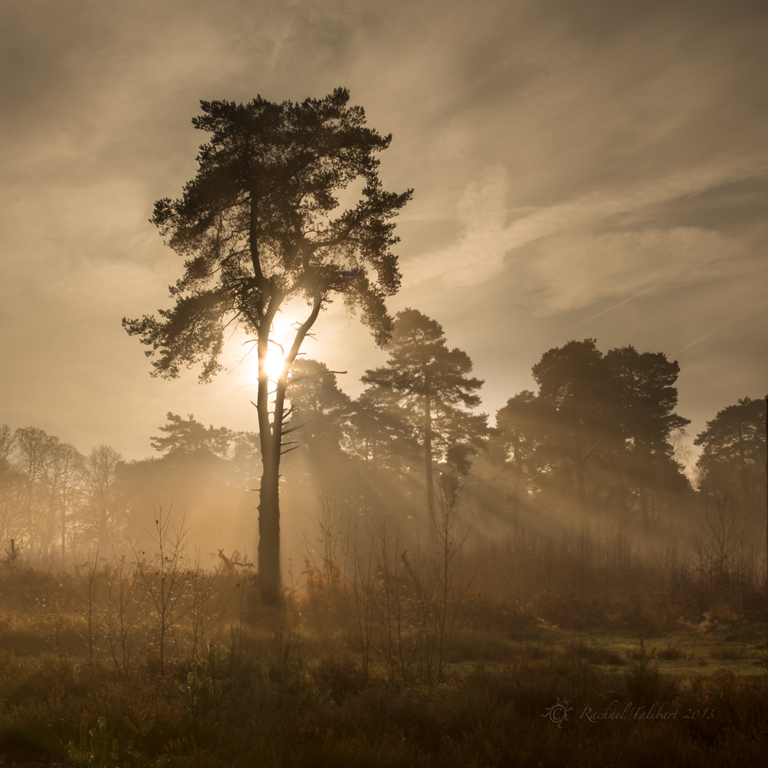 This entry was posted in photography and tagged Chatley Heath, landscape photography, mist, photograph, photography, Shed Gallery, Surrey, tree by Rachael. Bookmark the permalink. pianolearner stole the word I would have used! Congratulations! I’m not the least surprised at the honors you’ve been receiving! That is a beautiful image…great capture!
. . . The One Tree has returned! . . . woe to fireplaces and lumberjacks the world over. 😉 actually, joking aside, it’s an interesting landscape. Once it used to be heathland, a very important habitat for wildlife. But over the decades, most of Surrey’s heaths have become overgrown with birch and Scott’s pine, both growing like weeds in this county. So Surrey Wildlife are trying to regenerate the Heath by cutting down the trees. Seems counterintuitive when much of the world is worrying about excessive deforestation. Anyway, the odd lone tree has been left. I should find out why. Perhaps something nests there. Thank you. It really was irresistible light that day. Thank you! The light and the mist were just perfect that morning.